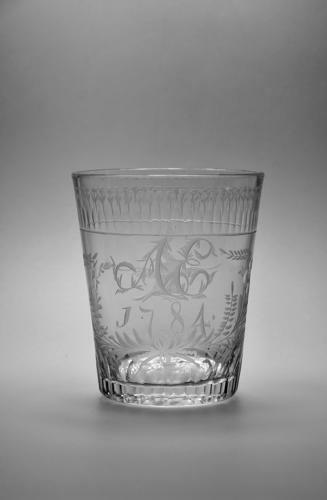 Straight sided tumbler engraved egg and dart border above the intials A E and dated 1784 within a floral cartouche. The reverse engraved a bird in flight. English 1784.